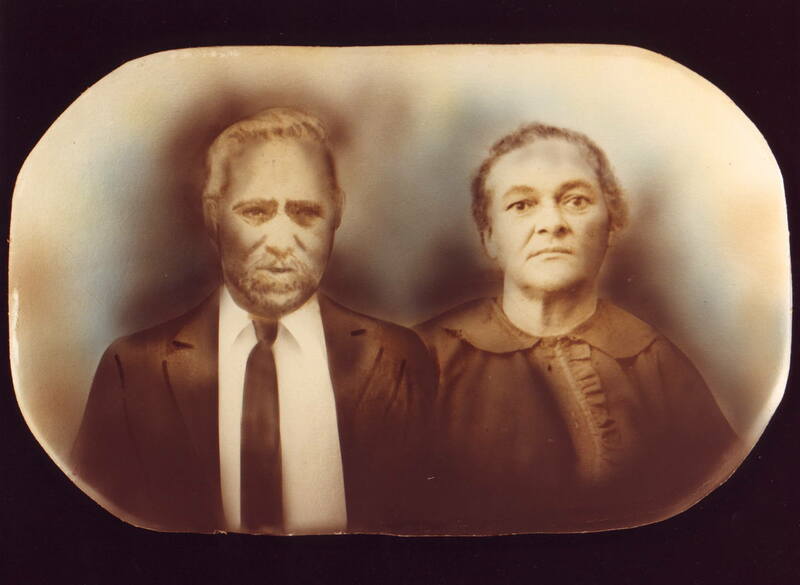 The late 1800 descendants of the Prejean - Sonnier - LeBlanc family originated from Louisiana in the United States. Today there are over 500 family members living in Alabama, California, Georgia, Kansas, Louisiana, Missouri, South Carolina, Texas and as far away as Saudi Arabia. This family's history is one of survival and determination in the midst of many adversities. Members of this family were original founders of Our Mother of Mercy Catholic Church, the second black church in Houston, Texas and the only one to be built by a Creole community. Creole food and Zydeco music are the main staples of this family's culture. We hope you enjoy visiting this web site as you learn about the Creole culture through our family's rich history from reading The Louisiana to Houston Connection by Denise Labrie posted below. This family hosts a reunion every two years alternating between California, Louisiana, Nevada and Texas. Please sign the guest book to share your thoughts about this web page. Copyright 2000-2016, Denise Labrie. All Rights Reserved. 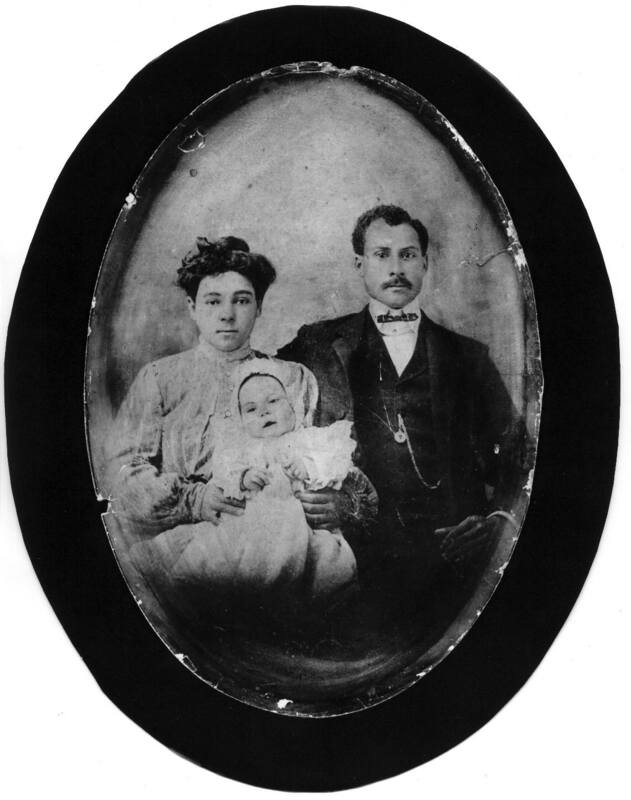 Agnes Sonnier & Victorien Prejean pictured in 1903 with their first child, Julius. 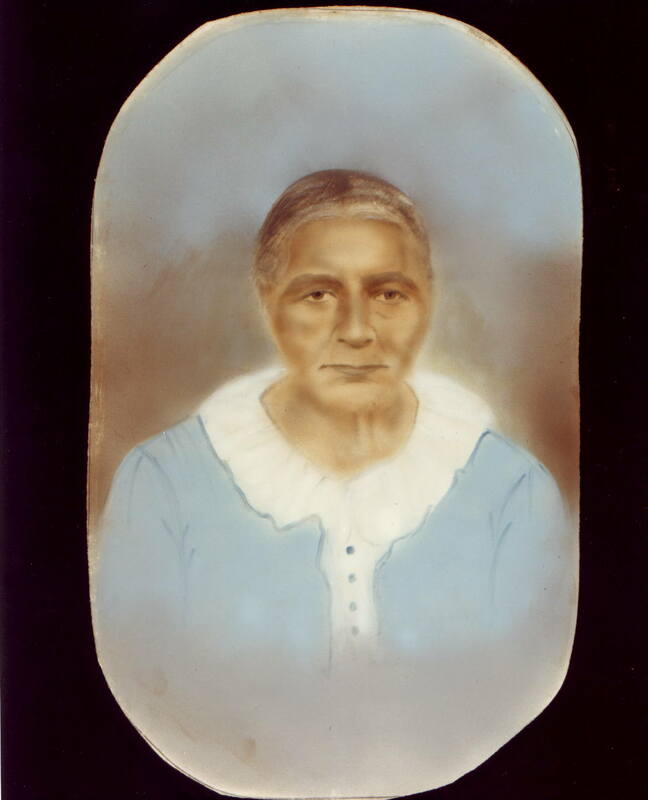 Mere Day-Day (Marcelite Breaux), Alzina Breaux Sonnier's mother and Agnes Sonnier Prejean's grandmother. A "Free Slave" who lived in Jennings, Louisiana. Victor (a Mulatto) m. Aurelia Cormier (who was a midwife). Victor is also the half brother to Louis Honore. Victorien b 10-8-1881 in Carencro, d. 9-29-1972, m. Agnes Sonnier in Carencro b. 1-20-1885 in Carencro, d. 1-29-1973. The Great Mississippi Flood of 1927 forced their migration from Louisiana to Houston, Texas. They are also founders of Our Mother of Mercy Catholic Church the second black church in Houston and the only one built by a Creole community. Note: Flooding forced the migration of the Prejean Family to other areas on several occasions through history. Special thanks to Kristie Hart, a Prejean descendant of Andre's brother Joseph for sharing most of this ancestry information with us. Daniel LeBlanc b. 1626 in France. Most likely came to Acadia in 1648 on the French ship La Verve that was chartered by Emmanuel Le Borgne, sieur de Courdray. m. Francois Gaudet in 1650. She is the daughter of Jean Gaudet and Francise-Marie Baussy. Two of the first permanent settlers in Acadia. Plesant Edward LeBlanc b.1913, nickname "Frenchy". Brothers and sisters: Domonick, Joseph (lived in San Francisco, m. Marie, no children), Raymond (lived in San Francico, m. Mary, one son Raymond Jr.), Alicia LeBlanc Randall, Ysant LeBlanc St. Julien, Alice LeBlanc Bastite. Daughter of Agnes & Victorien. 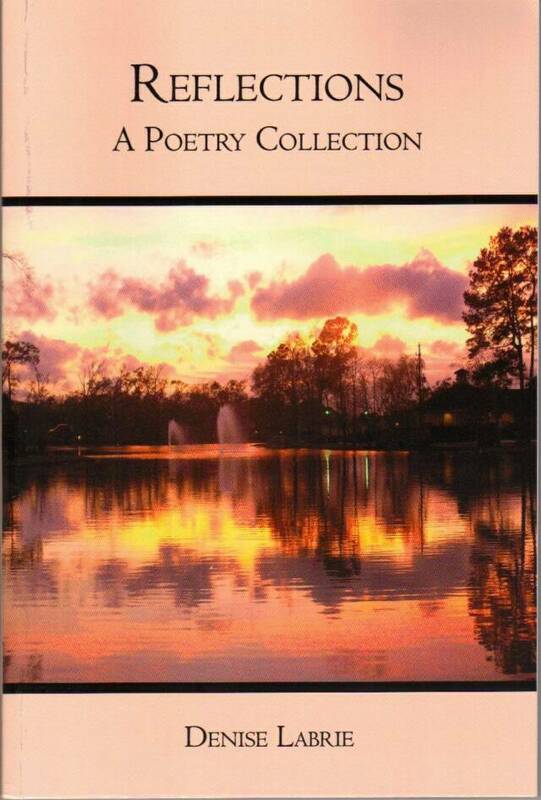 Parle Creole French, The Creole Diaries, Reflections Scroll to the end of this page to order. Learn to speak or reminisce of hearing the version of Creole French spoken by Inez Prejean Calegon and her family from Southwest Louisiana. Words and phrases are vocalized (cd) in English and French and presented in print form (booklet) in English and French accompanied by a pronunciation guide. Inez Prejean Calegon's oral history on cd detailing her and her families experiences in Louisiana and Texas including The Great Mississippi Flood of 1927, migration to Texas, life in Louisiana prior to the flood and life in Texas (Frenchtown in Houston, Our Mother of Mercy Church). 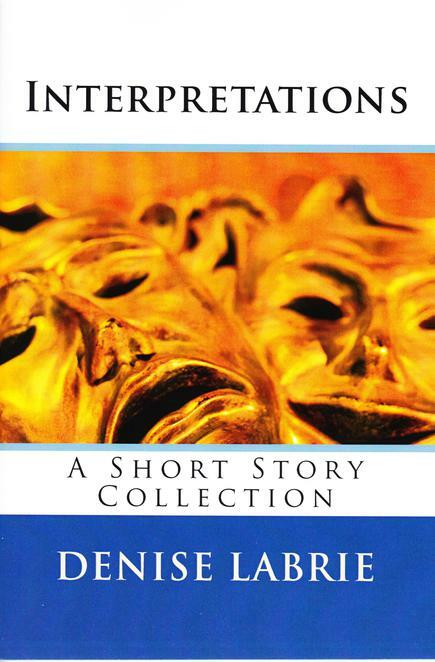 Also, includes children's stories as told to her by her mother, Agnes Sonnier Prejean, slave stories, racial experiences and funny family stories. Complete the form below to place your order for this authentic and unique version of Creole language and experiences. To process a cr. card payment by PayPal: Visa, Master Card, AMX, Discover, Bank Card (debit/credit) click the Buy This button above. For Bank Transfer payments enroll in PayPal or Chase Bank Quick Pay and send the payment to my email: deniselabrie@sbcglobal.net. NOTE: You must have an account with PayPal that is bank confirmed to process a bank transfer. Please allow 3-4 weeeks for processing. Prices subject to change without notice.